Axle lubrication is the single most important friction reducer you can get to make the fastest car. Choose from dry powdered PRO Graphite or thin-film oil lubricants that have been winning races for over 20 years. Bringing your car up to the maximum weight allowed and setting the optimal center of gravity are essential for making the fastest pinewood derby car. Powdered graphite acts like little ball bearings to reduce friction. Our PRO Graphite is a high performance, special blend of ultrafine graphite with molybdenum disulfide additive. PRO Graphite is your #1 speed secret! Track tests proved 17.2% to 22.1% speed increase, depending on axles used. Nyoil is a thin film oil lubricant that reduces friction and has the advantage of staying on your axles throughout all the races. Tungsten is very dense, making it the best weights because you can pack more weight in a smaller area so you can get the perfect center of gravity. Optimize COG to transfer all potential energy to kinetic energy, giving your car maximum velocity. Tungsten is very dense, making it the best weights because you can pack more weight in a smaller area so you can get the perfect center of gravity (COG). With the optimal COG, you are transferring all potential energy to kinetic energy, giving your car maximum velocity. Tungsten cubes allow you to place weight in a small space. Precise weight placement in a pinewood derby car results in maximum speed. Tungsten putty that is soft and malleable so it can be changed into virtually any shape or broken off into small pieces. Use tungsten putty to easily add or remove weight right at check-in! Use BBs for small incremental weight adjustments to bring car weight up to the maximum weight allowed. 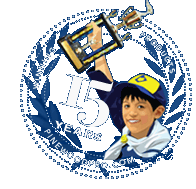 Pinewood Pro’s PRO dry powdered graphite is a special blend of ultra-fine graphite with micron sized molybdenum disulfide giving you the ultimate lubricant. Axle lubrication is the easiest and most important way to reduce axle friction so you have the fastest pinewood derby car. For races that don’t allow graphite, we offer a thin-film oil lubricant that has been winning races for over 20 years. We have a variety of weights depending on your needs from our least expensive and easy to apply stick-on Flex Weights that can be cut with a scissors to ultra-dense tungsten cubes that can be tightly packed in a small space.